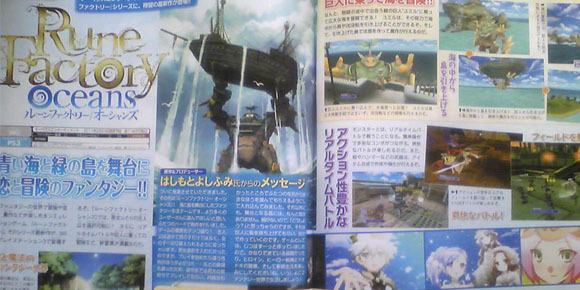 The latest issue of Famitsu has announced a new PlayStation 3 and Wii RPG in the works at Neverland Co. 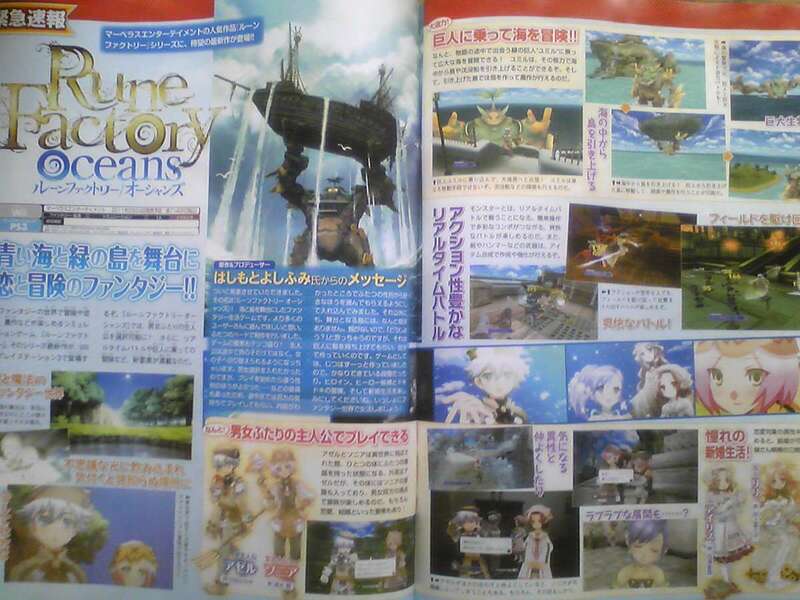 The company’s bringing their latest in the Rune Factory series, titled Rune Factory Oceans, to the two platforms. Update: First details, courtesy of Andriasang. Rune Factory Oceans unearths a fantasy involving love and adventure as main characters Azel (male) and Sonia (female) travel across the seas on a giant beast called Ymir; the beast has the ability to raise sunken islands and ships. Like its predecessors, Oceans will allow players to farm, form relationships, get married, and participate in battles using a real-time battle system. According to producer Yoshifumi Hashimoto, Oceans has been in development for a while now and is pretty far along. They’ve went the multiplatform route this time in order to make the game available to more players. Update 2: The PS3 version of the game is Move compatible. It’s currently 80 percent complete and scheduled for release in Japan on February 24, 2011. Check out the first scan below.